Paul and I met each other online. 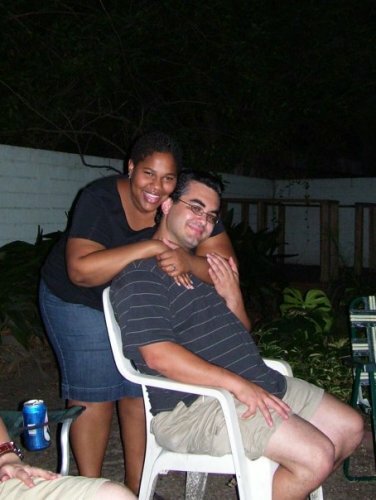 We corresponded via instant message and email for about two weeks before having our first date. Our first date was supposed to be just dinner but turned into dinner about 4 hours of really great conversation. That was five years ago. We live happily together with our two kids (I share my eldest with him and yougest is both of ours), one fish, one toad, and hermit crab in the 'burbs of Houston.